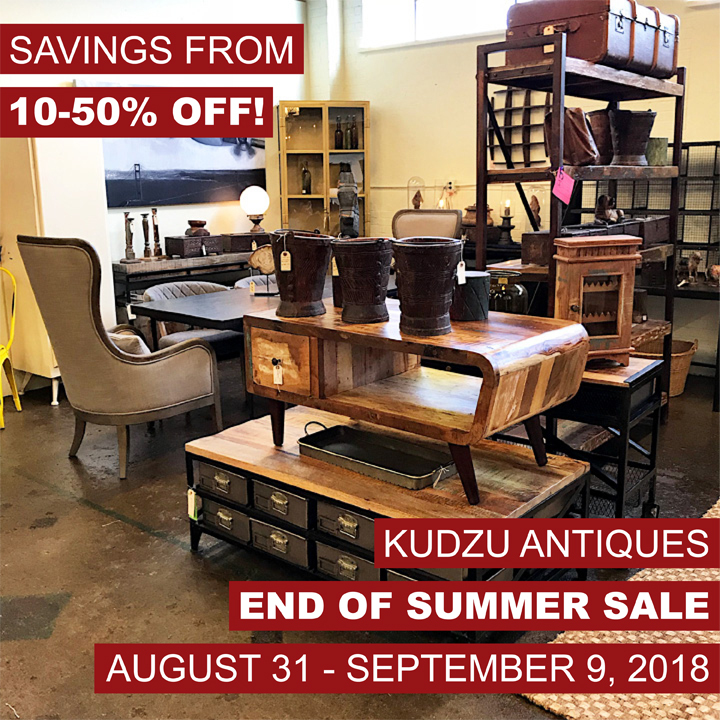 By Kudzu Staff| 2018-12-26T15:06:55+00:00	December 26th, 2018|Event, Holiday Hours|Comments Off on Year End Sale At Kudzu Antiques! 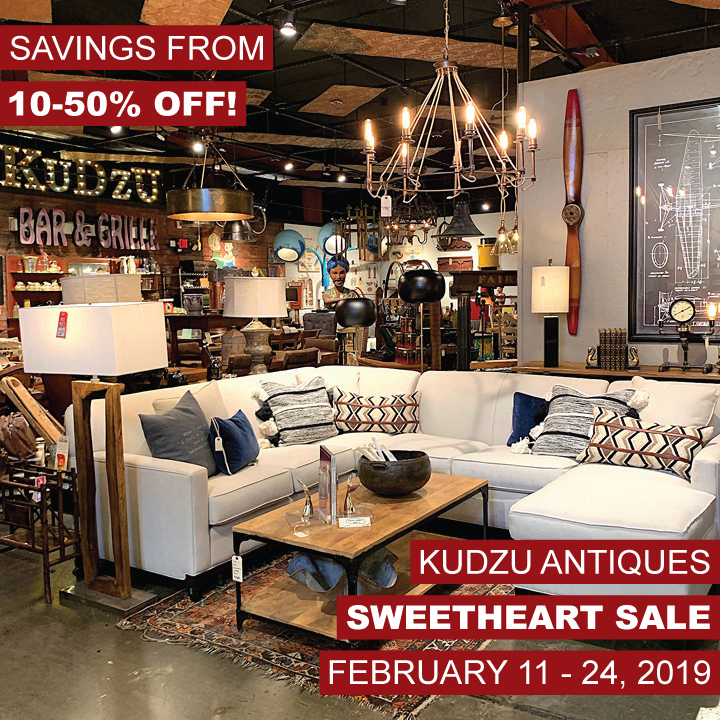 Please join us for our JANUARY STORE-WIDE CLEARANCE SALE starting Saturday, January 20 – Sunday, January 28, 2018. Savings up to 50% off on 1000’s of items all throughout the shop. 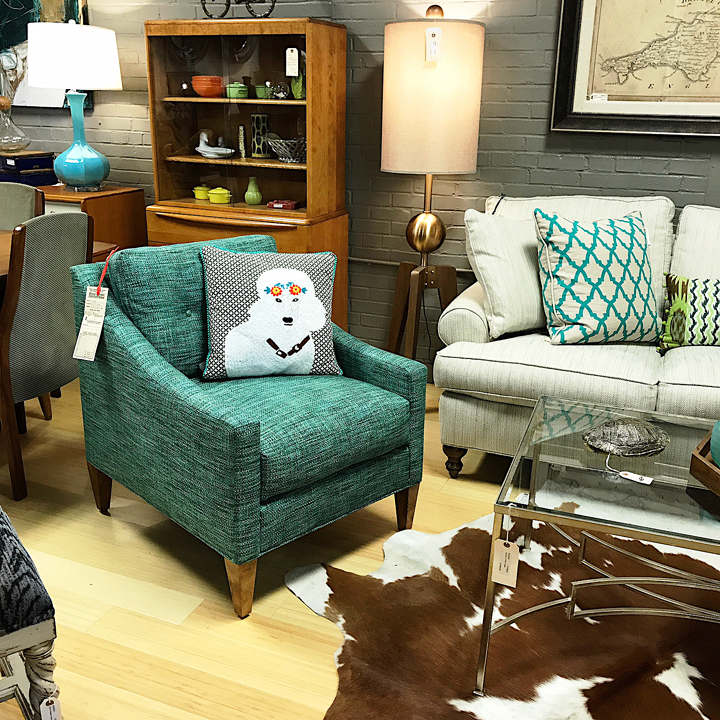 You’ll find wonderful options for every style and taste, whether it’s Industrial Chic, MidCentury Modern, Shabby Chic, Farmhouse Style, Eclectic or Vintage. We’re open daily from 11 – 7. 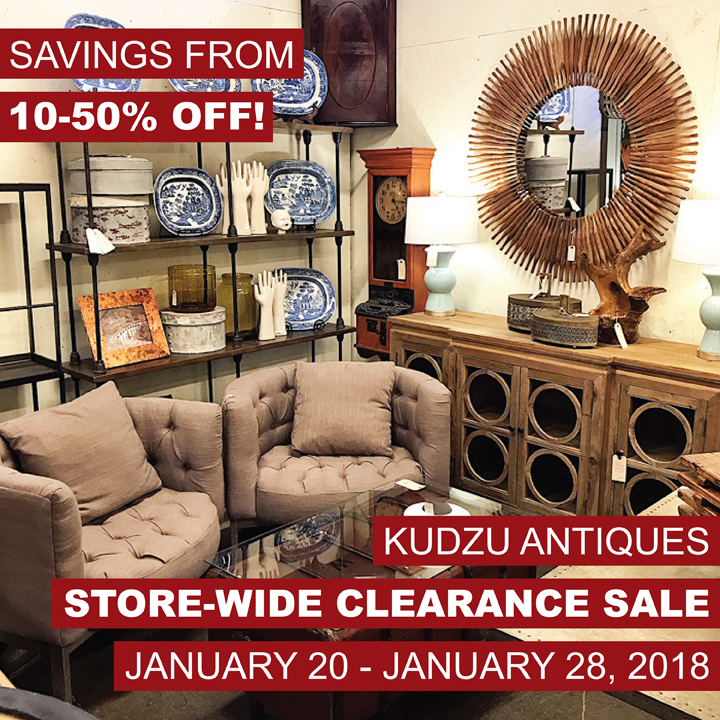 By Kudzu Staff| 2018-01-18T18:14:12+00:00	January 19th, 2018|Event|Comments Off on January Store-Wide Clearance Sale At Kudzu! 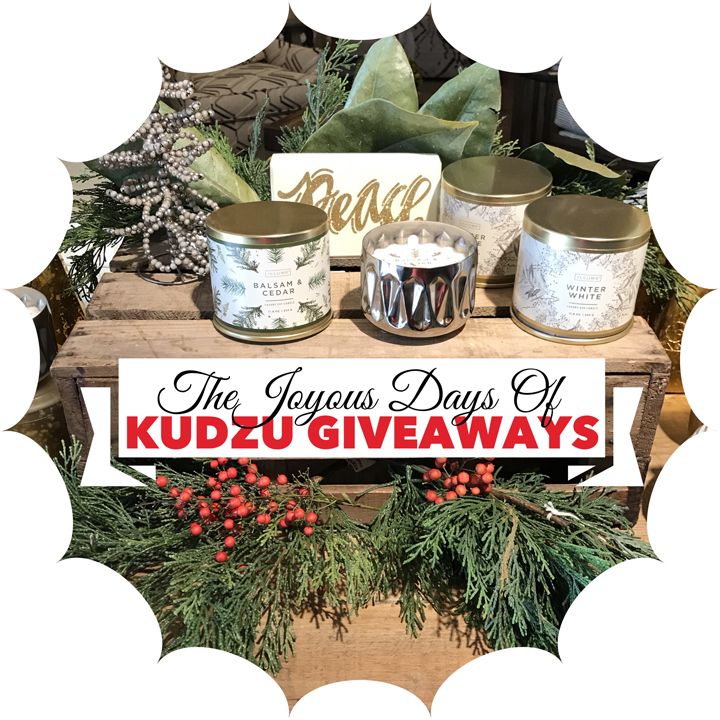 Santa Claus Is Coming To Kudzu! 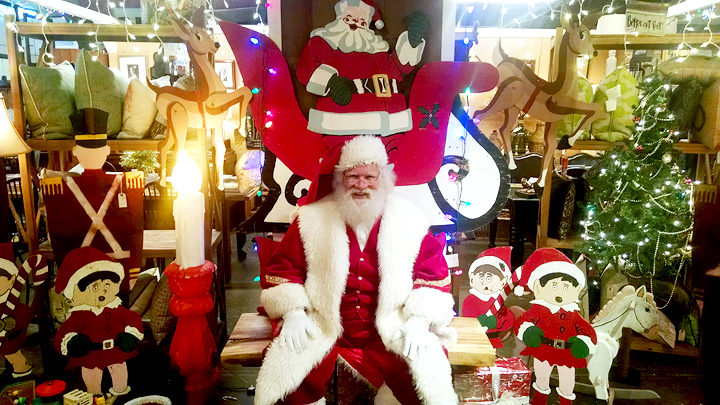 By Kudzu Staff| 2018-01-14T16:38:03+00:00	December 13th, 2017|Event|Comments Off on Santa Claus Is Coming To Kudzu! We’re so thankful for each and every one of you, that we decided to do a giveaway every week in December. 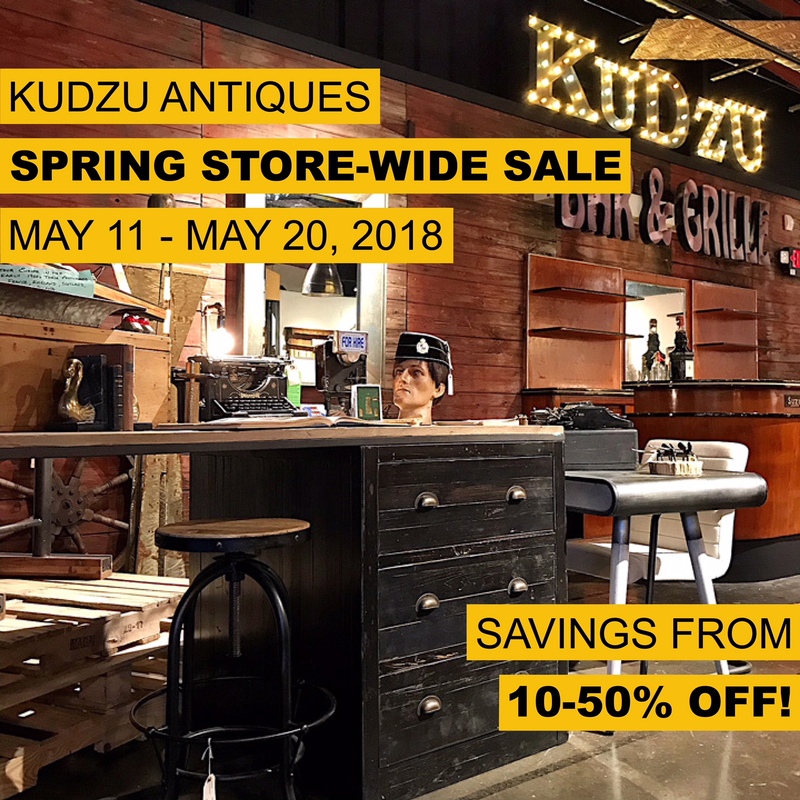 Make sure to follow us on Instagram (@kudzuantiques) to join in on the fun! 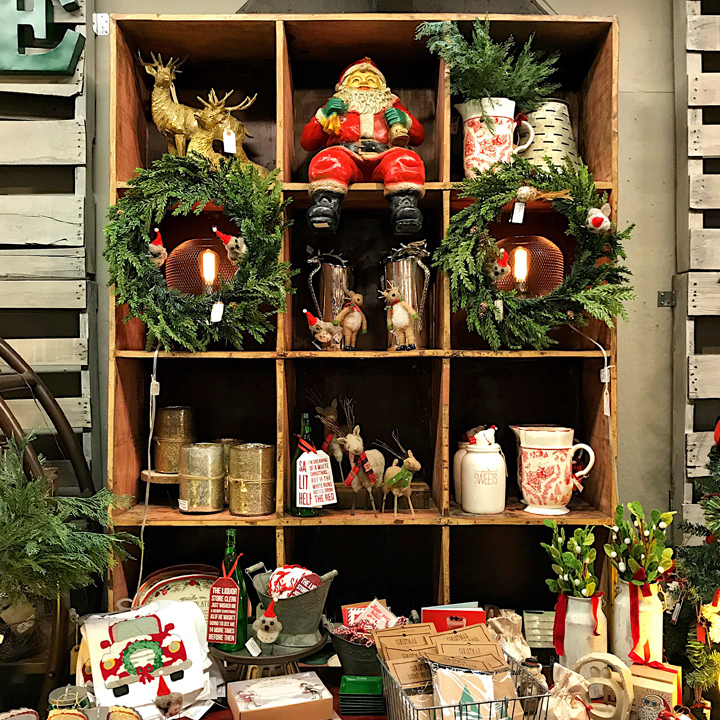 12th Annual Holiday Shopping Parties On Now! 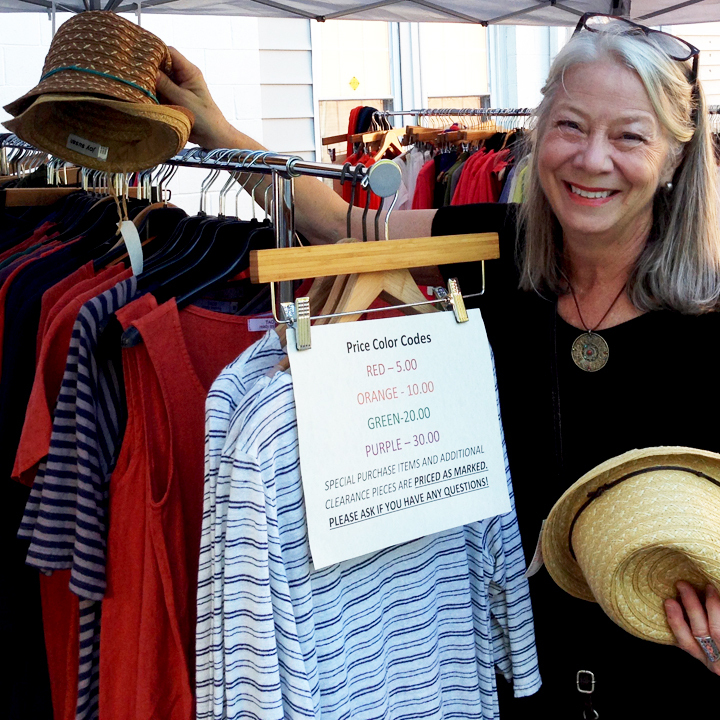 Please join us for our Annual Holiday Shopping Parties every Sunday afternoon! 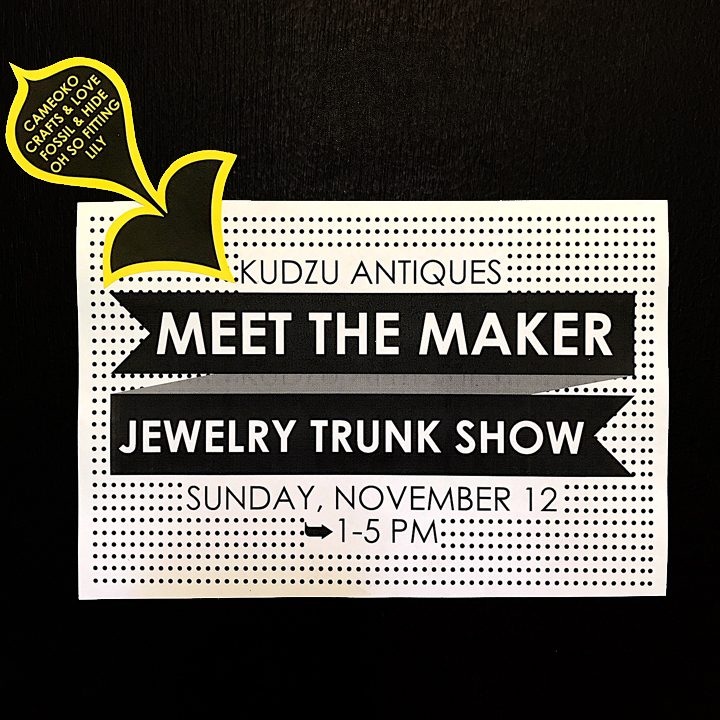 Enjoy this tradition of Live Music, Refreshments, Sale Prices and Unique Gifts. Every Sunday afternoon until Christmas. 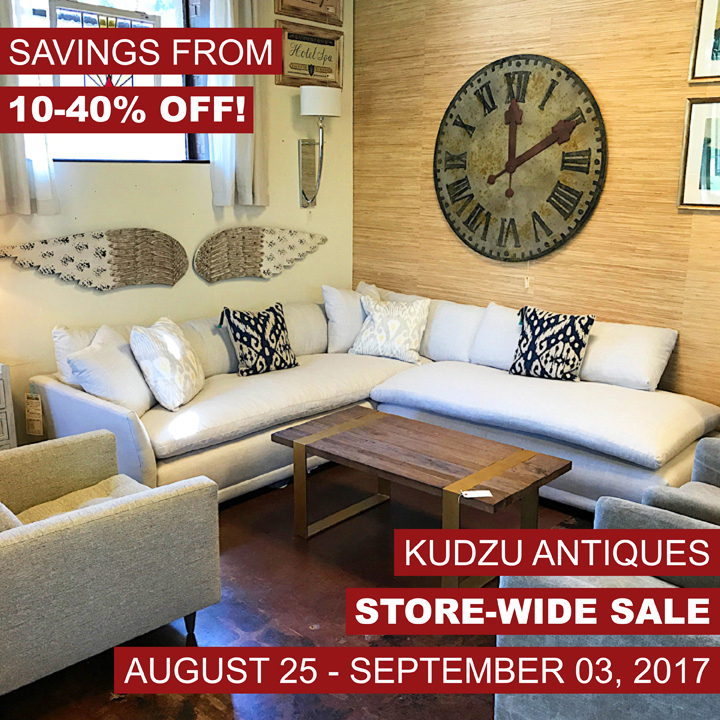 A great way to spend some time with friends and family, shopping at the 'Zu! By Kudzu| 2018-01-14T16:38:03+00:00	November 26th, 2017|Event, Holiday|Comments Off on 12th Annual Holiday Shopping Parties On Now! 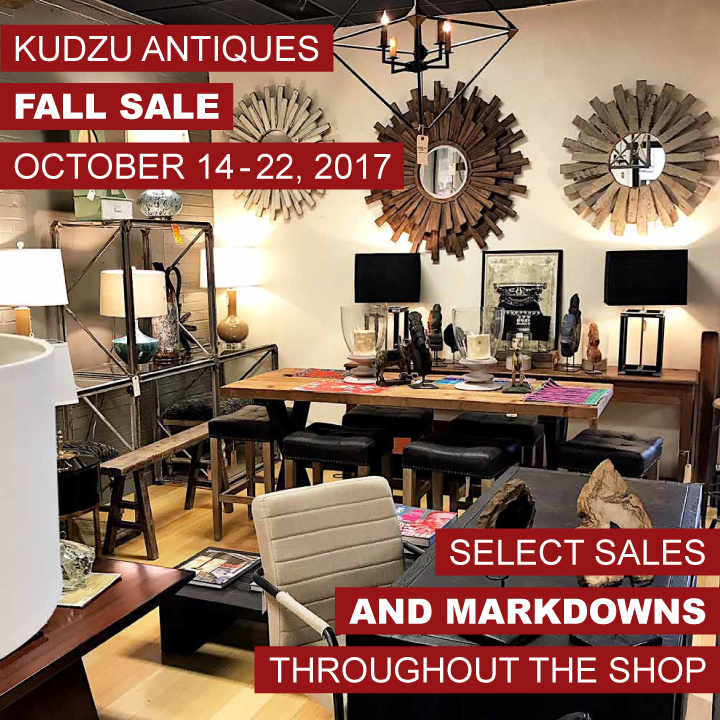 Please join us for our FALL SALE starting Saturday, October 14 – Sunday, October 22, 2017. 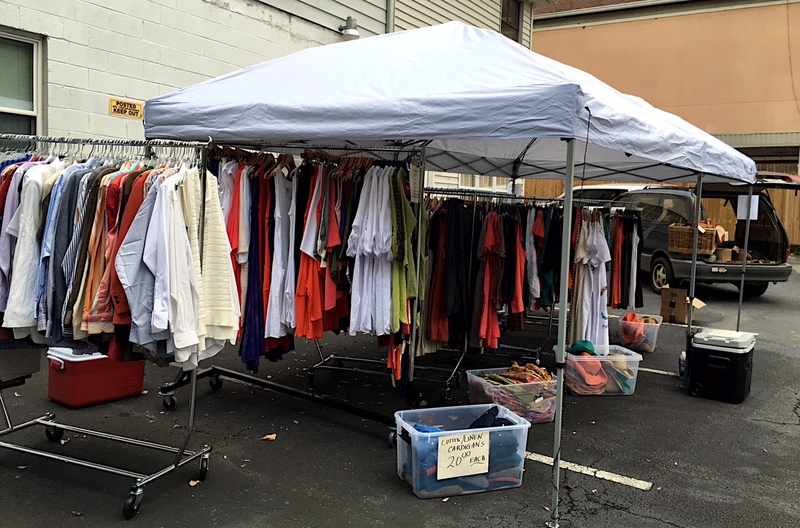 Select sales and markdowns on 1000’s of items all throughout the shop. 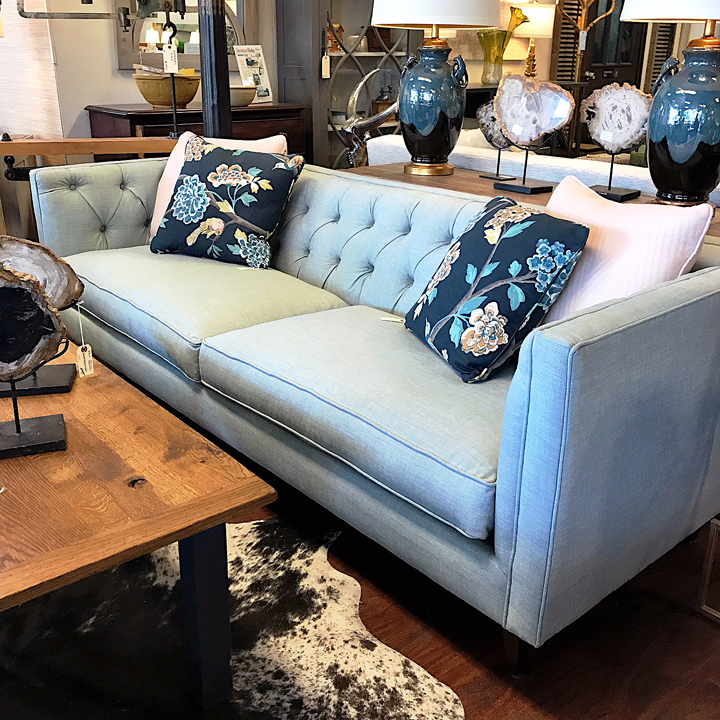 You’ll find wonderful options for every style and taste, whether it’s Industrial Chic, MidCentury Modern, Shabby Chic, Farmhouse Style, Eclectic or Vintage. We're open daily from 11 - 7. 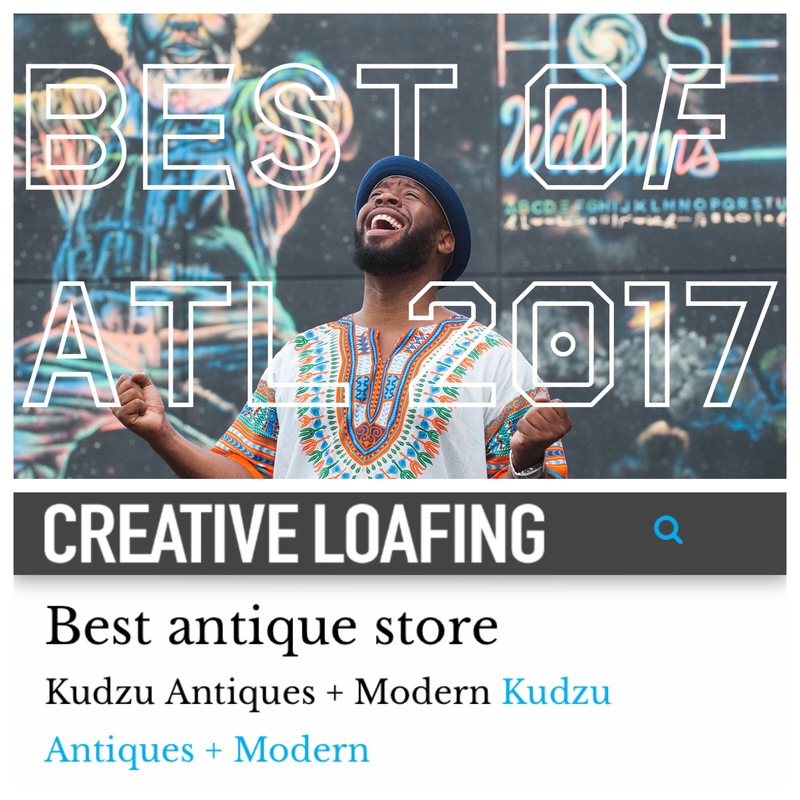 By Kudzu Staff| 2017-09-20T15:22:49+00:00	September 20th, 2017|Design, Event|Comments Off on Kudzu Wins Best Of Atlanta! 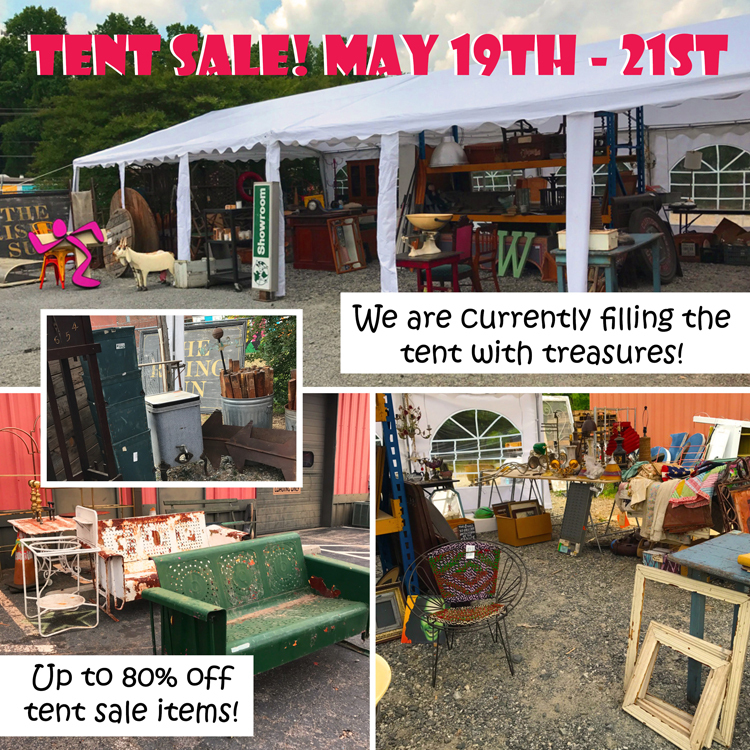 Tent Sale Starts Tomorrow the 19th! 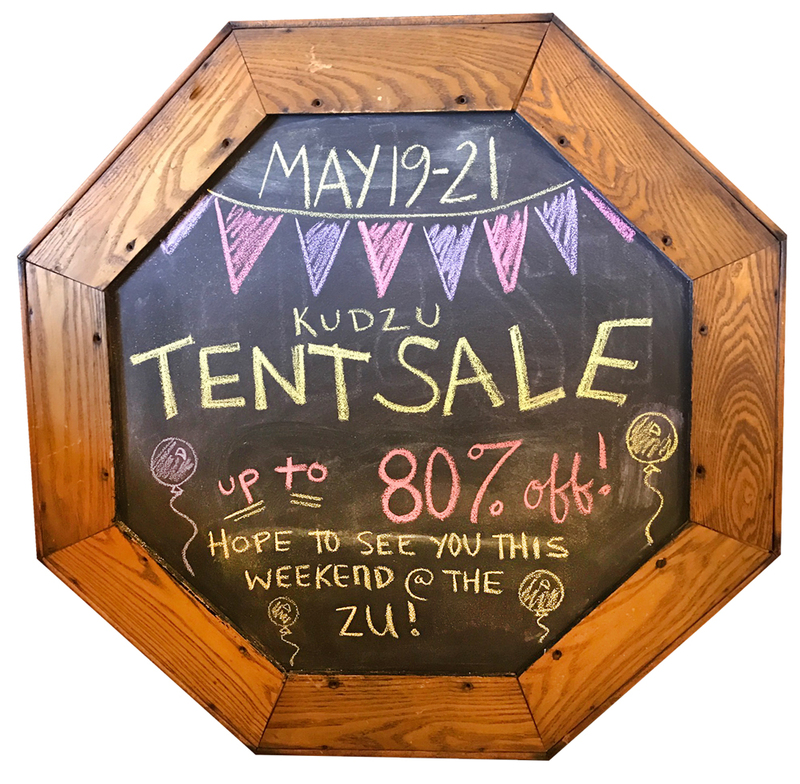 Hey friends, join us for our awesome Tent Sale starting tomorrow, the 19th and running through the 21st! We are filling it up as I type. 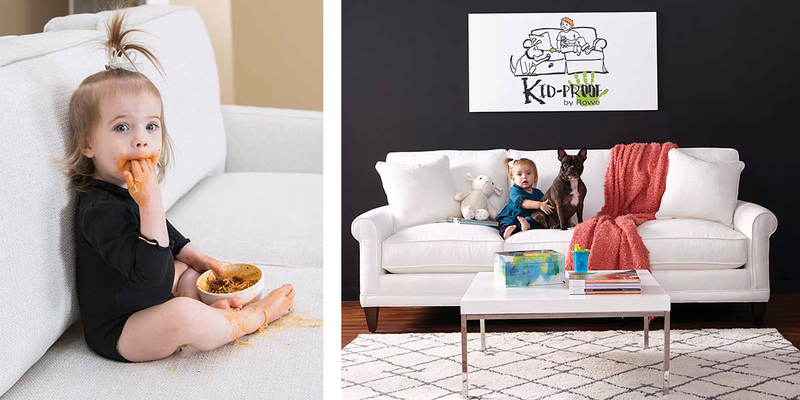 You could score up to 80% off that something you never knew you really needed.